What is like for the NBA Post Season without LeBron James? NBA – The Los Angeles Lakers are on the verge of missing their 6th consecutive post season in a very disappointing 2018 – 2019 NBA Season especially in the new era of LeBron James. Many Lakers fans, basketball fans and even LeBron James fans are expecting that LeBron will end the 5 year drought of the Lakers post season skid? But unfortunately the expectations and predictions did not happen. The Lakers are already done with the season just waiting to finish the remainder of the season with 12 games away. Obviously it all started when LeBron James suffered a groin injury on Christmas day against the defending NBA Champion the Golden State Warriors. Since then James injury has led into his worst missed games of his NBA career with 17th consecutive games. The Lakers is at the 4th spot of the West after James injury, but slowly falls back of the standing. When James returns from injury the Lakers continued their struggles and adding more problem is the trade rumors of all the Lakers young core in exchange of Anthony Davis of the New Orleans Pelican. The Lakers became a miserable team losing to the worst team in the West and the East that should they win easily? And now with the chemistry is a complete disaster, the Lakers failed their predictions of making the playoffs. LeBron James is the same player as he used to be averaging his usual stats 27 points, 8 rebounds and 8 assist but obviously with the injury that just happen, it slow him down as seen a little bit decline in his athleticism and explosiveness on the court. NBA – Former Cleveland Cavaliers and arguably still the best player in the league the new Laker LeBron James is about to make his debut game today October 19, 2018 (Philippine Time) against a very good playoff team the Portland Trail Blazers. LeBron and the Lakers will visit the Portland Trail Blazers at Moda Center in Portland, Oregon where both teams will debut their season opener of the 2018 – 2019 NBA Season. On the 3rd day of the season opener the most awaited debut of LeBron James as a Laker is just a few hours away of being watched all over the world. The excitement of Lakers fans and LeBron James fans is about to be witness in just a matter of time. Will James live up to the hype as he always brings in every team he join? Let’s wait and see and his Laker’s debut. James at age 33, has played for 3 teams, he played his rookie season with his home team Cleveland Cavaliers and after seven seasons with the Cavs, he reached 1 NBA Finals, but falls to the San Antonio Spurs he then join the Miami Heat in 2010 to form a so called “super team” along with his buddy Dwane Wade and Chris Bosh together they reach the NBA Finals for 4 straight seasons with 2 NBA Titles. During the 2014 NBA Free Agency James decided to return to Cleveland to fulfill his promised of bringing an NBA Title in the city and with the help of co – superstar Kevin Love and Kyrie Irving the dream came true in 2016 when they stunned the Warriors in Game 7 at Oracle Arena making an NBA History of coming back from 1 – 3 deficit to win the NBA Title. James and the Cavs eventually reached 4 straight NBA Finals and just recently loss the last two that could possibly lead to James departure again in Cleveland. 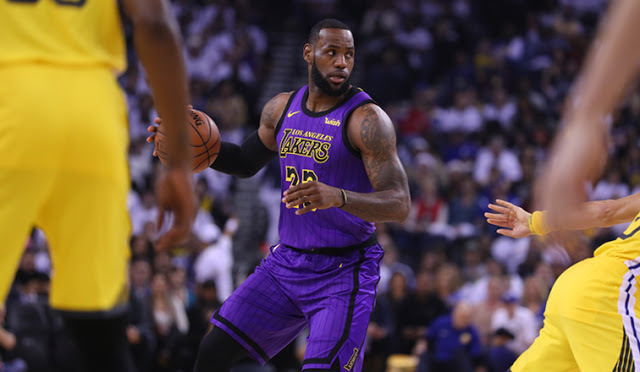 James has an NBA record of eight consecutive NBA Finals appearance the most in this modern NBA, but with the Lakers it seems his streak will finally end where his rival team Golden State Warriors is blocking his path of reaching another NBA Finals? Let’s just wait and see on how LeBron and the Lakers will perform this season if the team click then the Showtime Lakers is back? 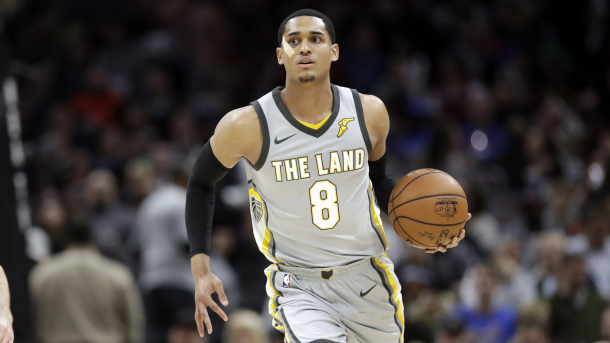 Philippines – Jordan Clarkson is a Filipino-American NBA Player who is currently playing for Cleveland Cavaliers as a point guard and shooting guard. He was a late addition to the Gilas Pilipinas team roster after the National Basketball Association (NBA) change their decision to allow Clarkson to play in the 2018 Asian Games in Jakarta, Indonesia and as part of the Gilas Pilipnas basketball team. Due to the late consideration of the NBA Clarkson failed to join Gilas Pilipinas in their first game against Kazakhstan but despite with no Clarkson the team convincingly dominated Kazakhstan that lead into blown out game 96 – 59 favoring the Filipino’s. On their next game Clarkson finally debuted as part of Gilas Pilipinas starting five, he shows impressive performance hitting basket easily as expected for an NBA Player but despite of it the super team China dominated the first 3 quarters not until the Philippines manage to come back in the 4th and final quarter behind Clarkson heroic several clutch 3’s and his teammates to finally take the lead. Gilas had a slim 3 point lead in the final minute of the regulation but failed to hang on until china regain the lead with 13.2 seconds to go 82 – 80. Gilas point guard Paul Lee unfortunately missed the one that matter most the game winning 3’s that lead to Gilas loss to China 82 – 80. Jordan Clarkson finished the game with 28 points in a losing effort on his debut game with Gilas Pilipinas Basketball team. NBA – The Los Angeles Lakers won the biggest free agent NBA player this 2018 NBA Free Agency they sign 3 –time NBA Champion, 4 – time Regular Season MVP and arguably still the best player on the planet despite already in his 15th season. He simply defies father time and at age 33 he is aging like a fine wine. The new “LA King” LeBron James who sign with the Lakers agreeing a 4 – year max contract worth $154 Million that will bring back the glory days of the “Showtime Lakers”. LeBron is entering his third team in the league, His first team was his home team Cleveland Cavaliers where he plays his first 7 years, He joins Miami Heat in 2010 winning 2 –NBA Titles in four straight Finals appearances, He returns back to Cleveland and in 2016 he fulfill his promise of bringing an NBA Champion in the City. Now he is leaving again to join the Lakers after dominating the Eastern Conference for Eight consecutive years of NBA Finals appearance. James, who is in his 16th season might end his streak in the NBA Finals? Especially where the Western Conference are pack of much better team compared to the East. The early prediction of some NBA analyst and critics is that the good news is the new Lakers team with LeBron James might end a 5 year drought of not making the playoffs? The bad news is a possible early exit in the post season? Or if they possibly make it to the Western Conference Finals? Expert says Lakers had no chance of beating the defending back to back NBA Champion Golden State Warriors. Unless if Kawhi Leonard happened to join the Lakers this season or the next season to join forces the #1 and #2 best players in the league LeBron and Kwahi. That if Kwahi Leonard is still interested in joining the Lakers which is similar to Paul George who eventually sign back with the Oklahoma City Thunder for a max contract who aggressively saying he will join the Lakers in his free agency. Lakers are also predicted to finish at 7th, 6th or even 5th in the West seeding comes Post Season? Possibly winning 50 plus games in the Regular Season and LeBron James could win his 5th MVP? How about you, what are your predictions with the new Lakers with LeBron James? By the way the Lakers will surely increase their ratings in TV now that the most watched NBA Players are with them. NBA – 6× NBA All-Star and now the reigning league MVP the Houston Rockets superstar James Harden has won his first ever KIA MVP Award in the recently concluded 2nd NBA Annual Awards at Barker Hangar in Santa Monica, California. James Harden, 4 – time MVP LeBron James and Anthony Davis are the top 3 MVP finalist that battles for the said prestigious award, but among the 3 finalist Harden was the favorite to win in this 2017 – 2018 KIA NBA Regular Season MVP. As expected Harden won his very first MVP award after a disappointing loss to last year MVP award winner to Oklahoma City Thunder point guard Russell Westbrook, who made history after averaging triple doubles for the entire 2016 – 2017 regular season. James Harden is now the 3rd Houston Rockets to win an MVP award in their franchise History he joined Moses Malone and Hakeem Olajuwon as the two other players that won the said award. Aside from James Harden winning the biggest awards of the night other awards was also given to other notable NBA Players. Philadelphia 76ers rookie Ben Simmons won the 2018 Rookie of the Year, NBA's Most Improved Player belongs to Indiana Pacers Victor Oladipo, NBA's Defensive Player of the Year award was given to Utah Jazz center Rudy Gobert, NBA Sixth Man of the Year Award belongs to now 2 – time award winner Los Angeles Clippers guard Lou Williams. For the Coach of the year, former head coach of Toronto Raptors Dwane Casey won the award while Daryl Morey of the Rockets earned the NBA's Executive of the Year Award. Meanwhile, Cavs superstar LeBron James is absent from the 2nd NBA Annual Awards who missed also the very 1st Annual Award last year. According to sources James is focusing on his upcoming free agency comes July 1.